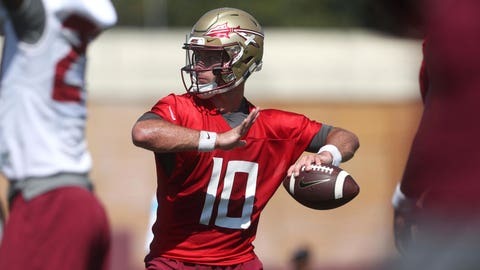 Florida State backup quarterback Bailey Hockman has decided to transfer, leaving the No. 19 Seminoles without much depth at the position. Hockman was at Thursday’s practice but was absent on Friday. A school spokesperson confirmed Hockman’s intention to transfer. He hasn’t decided what school to attend. The left-hander was part of a three-man quarterback competition in the preseason. Coach Willie Taggart announced this week that junior Deondre Francois would start against No. 20 Virginia Tech on Monday. Hockman took a redshirt in his first year on campus in 2017 and led the scout team. After Hockman’s transfer, Florida State has just two scholarship quarterbacks — Francois and sophomore James Blackman. Both quarterbacks have a year of game experience. Francois started in 2016 and Blackman taking over after Francois’ knee injury in last year’s season opener.